Home > Blog > Does your translation need to be certified? Does your translation need to be certified? A translation becomes certified when a translator or language agency attaches a document to the translation attesting that to the best knowledge of the signer, it is an accurate translation of the original document performed by an experienced and professional translator. It can also be referred to as a certificate of accuracy. It depends on the country. Some countries have “sworn translators” regulated by a government body, and empowered to call their translations “certified.” In the US, there is no government body regulating translators. 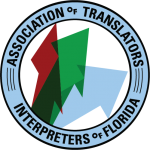 A translator can obtain professional certifications through an association, such as the American Translator’s Association (ATA), showing professional competence in a specific language combination. A translator may also have a court interpreting certification; however, those exams do not test translation and many certified interpreters do not also work as translators. Regardless of any certifications a translator may hold, none specifically empower the translator with a special status to certify translations. Also, the number of languages tested by any of these institutions is highly limited. language services agency.As a client, you need to check the credentials of any translator to ensure it is performed by an experienced professional. Or you can ensure quality by using a trusted and experienced agency, such as Legal Interpreters LLC. Our agency vets our linguists and cultivates relationships with top translators in a variety of language pairs. All our translations also go through a multi-step proofreading and verification process, ensuring the highest quality and accuracy. All notarization does is confirm the identity of the person signing the document. A notary does not verify the accuracy or quality of the translation, nor the credentials of the translator. 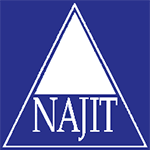 A translation certification may be valid without a notary seal. However, many government agencies require the certificate of accuracy to be notarized. Our certificates of accuracy are signed by a project manager and include a notary seal. Please note, we do not provide certificates of accuracy for translations we did not do or ones that our own linguists have not reviewed. Certified translations performed by our linguists are generally accepted all over the United States. However, specific government bodies or educational institutions may have their own list of pre-approved providers. It is always wise to check first before requesting a translation.